Fans of Billions are in for a surprise treat. Today, Showtime released the series’ season two premiere online ahead of its TV debut next week. 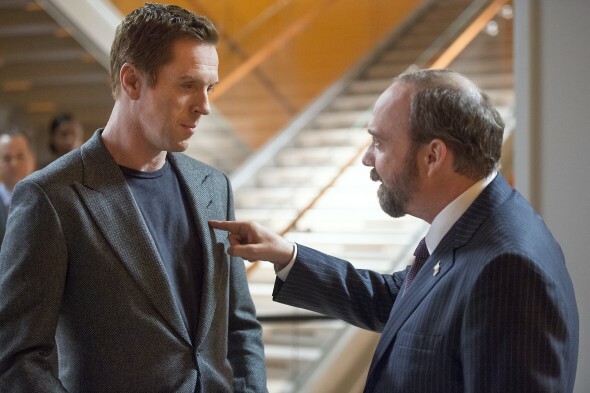 The drama centers on the conflict between U.S. Attorney Chuck Rhoades (Paul Giamatti) and self-made billionaire Bobby Axelrod (Damian Lewis). The cast also includes Maggie Siff, Malin Akerman, Toby Leonard Moore, David Costabile, and Condola Rashad. Billions debuts on Showtime on February 19th at 10 p.m. ET/PT. NEW YORK, NY – February 10, 2017 – SHOWTIME is giving viewers nationwide the chance to sample the season two premiere of the network’s compelling drama series BILLIONS for free, ahead of its linear debut on Sunday, February 19 at 10 p.m. ET/PT. Starting today, consumers who do not subscribe to SHOWTIME can watch the season two premiere for free now on YouTube and SHO.com. Consumers can also sample the premiere of BILLIONS for free across multiple television and streaming providers’ devices, websites and applications and free On Demand channels. SHOWTIME subscribers can watch the season two premiere of BILLIONS on SHOWTIME ON DEMAND(R) and SHOWTIME ANYTIME(R) now. The episode is also available on the SHOWTIME stand-alone streaming service through Amazon, Apple(R), Google and Roku(R), as well as through Amazon Channels, Hulu, Sony PlayStation(TM) Vue and Samsung TVs, as well as through TV providers’ authenticated online services. Immediately following the BILLIONS season premiere on-air on February 19, SHOWTIME will make the second episode available early only to subscribers starting at 11 p.m. ET on SHOWTIME ANYTIME, affiliate online platforms and via the SHOWTIME stand-alone streaming service and streaming service providers, and at midnight on SHOWTIME ON DEMAND.